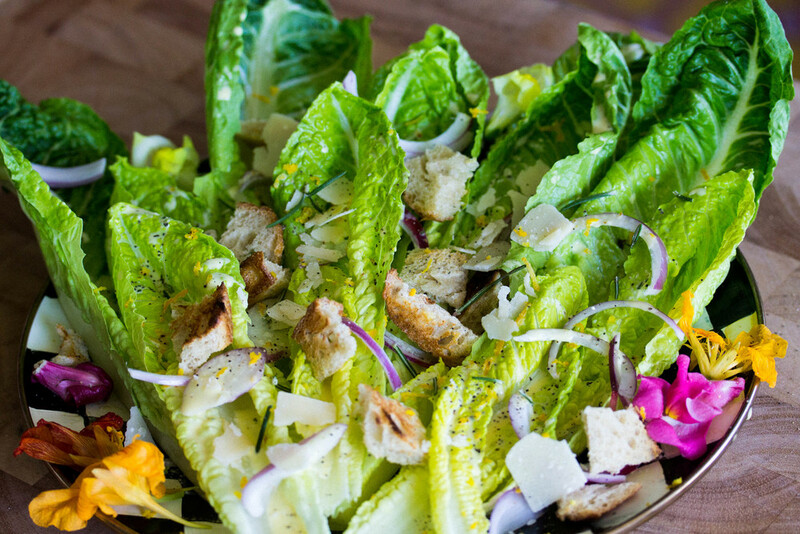 Who doesn't love a good, classic Caesar salad? Crunch, crispy, light and zesty...there's nothing better! 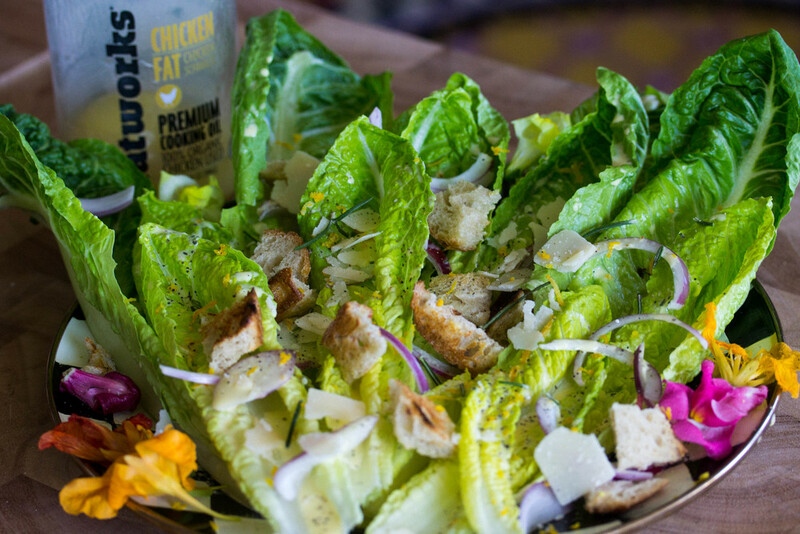 To me, what makes a perfect Caesar is the dressing. It really can either make or break the salad. I've found that by using Schmaltz (aka chicken fat) as the base, it allows for a light yet creamy texture that doesn't overpower the salad and adds the perfect amount of flavor. You can serve the dressing right away for a lighter consistency or refrigerate for 2 hours for a creamier taste, both are equally as delicious! Add the egg and chicken fat into a mixing bowl and whisk briskly with a fork. Make sure the melted chicken fat has time to cool slightly before combining with egg so that the egg does not cook. Add remaining ingredients (until lettuce leaves) to mixing bowl, reserving about 1/3C cheese and beat with an immersion blender until well combined. Cover dressing and refrigerate for a 2 hours for a thicker dressing or serve immediately for a lighter consistency. Drizzle dressing over lettuce garnished with chopped red onion, cheese, and edible flowers.